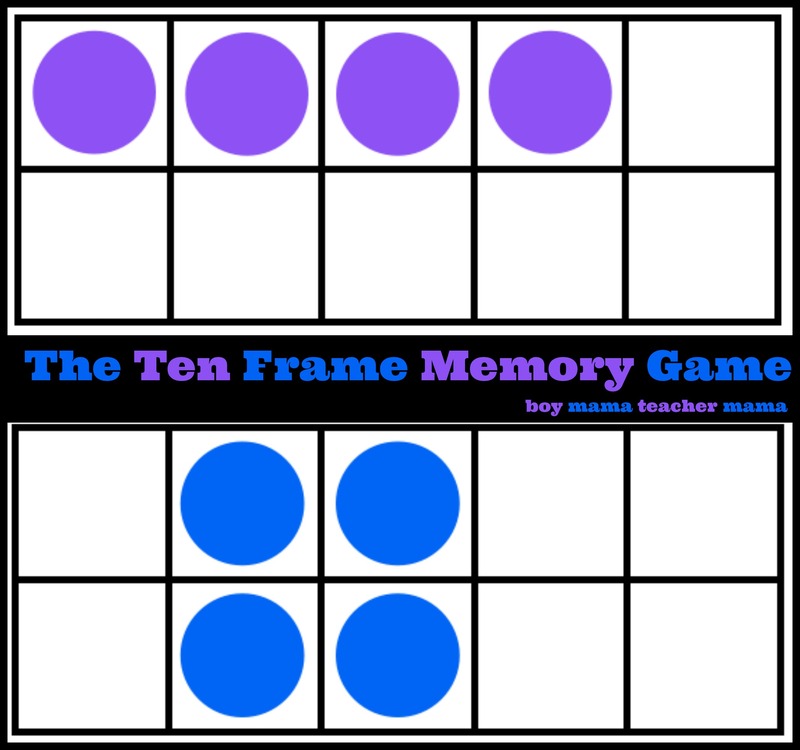 Another ten frame game for you all! 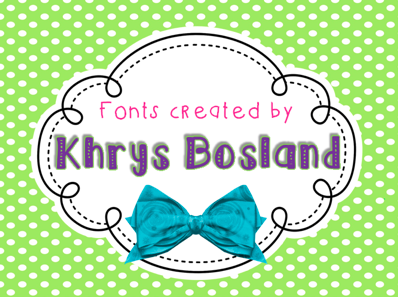 Loving this game I created last night for my first graders. 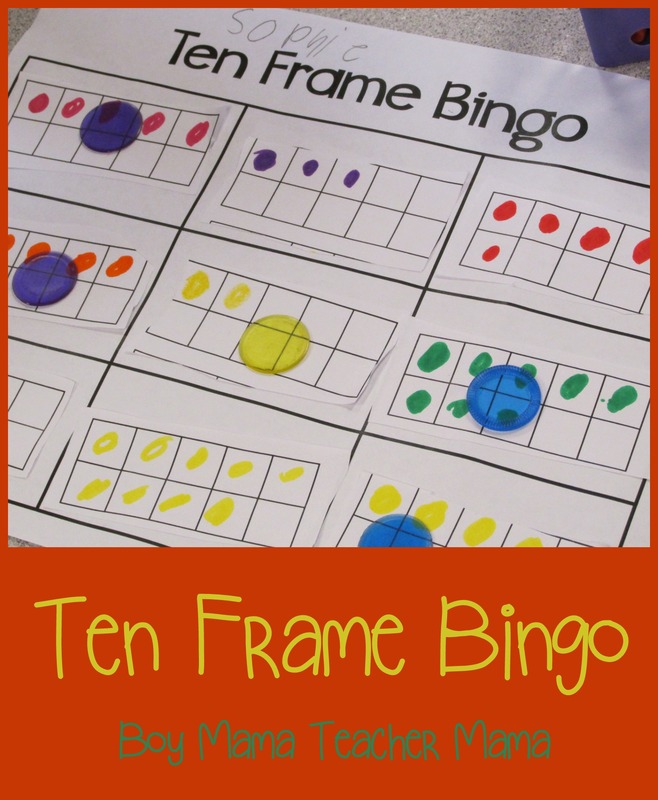 Each student created their own ten frame bingo board, we grabbed some bingo chips and played several rounds of ten frame bingo. Another huge hit with my first graders!! 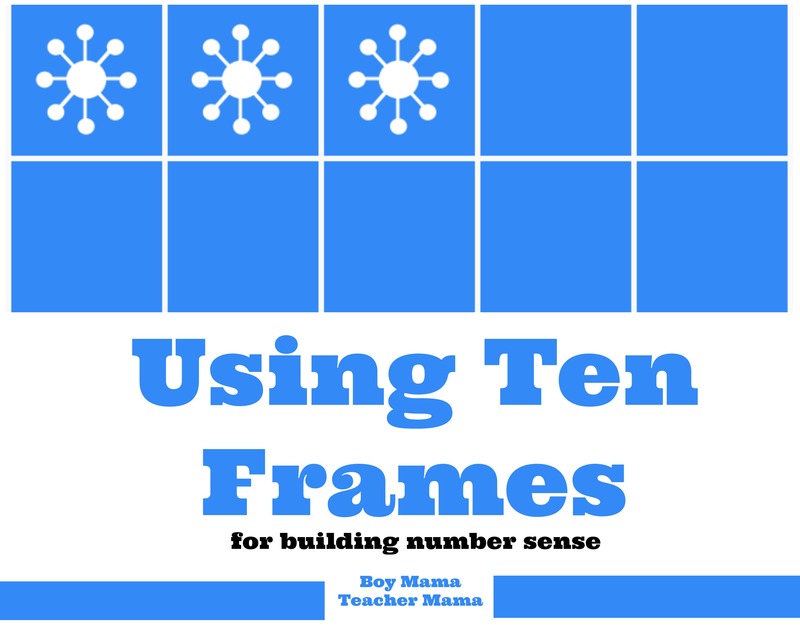 Students color in the blank ten frames with the numbers 0-9 or 1-10. 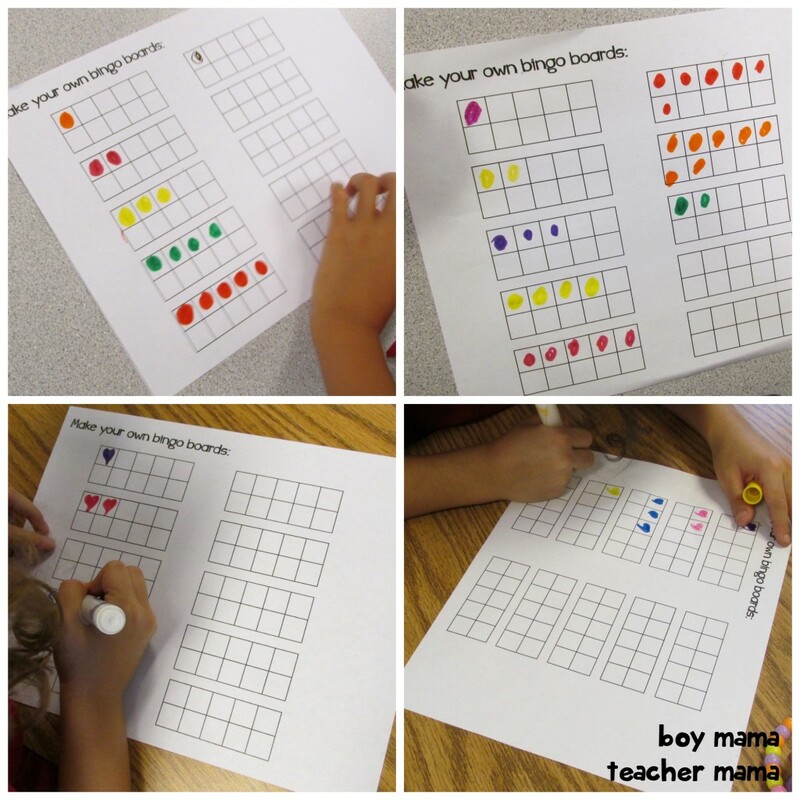 Some of my students used circles to fill in the ten frames while others used hearts and stars. I did ask that they use only one color per frame to make number recognition easier. 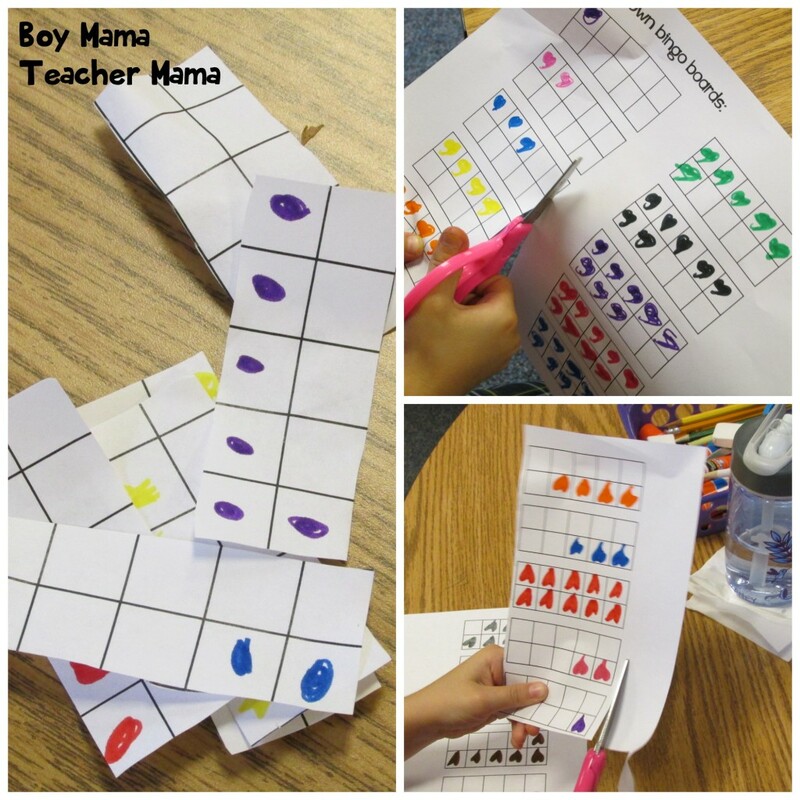 After the ten frames were completed, students cut out 9 of the frames from their paper. 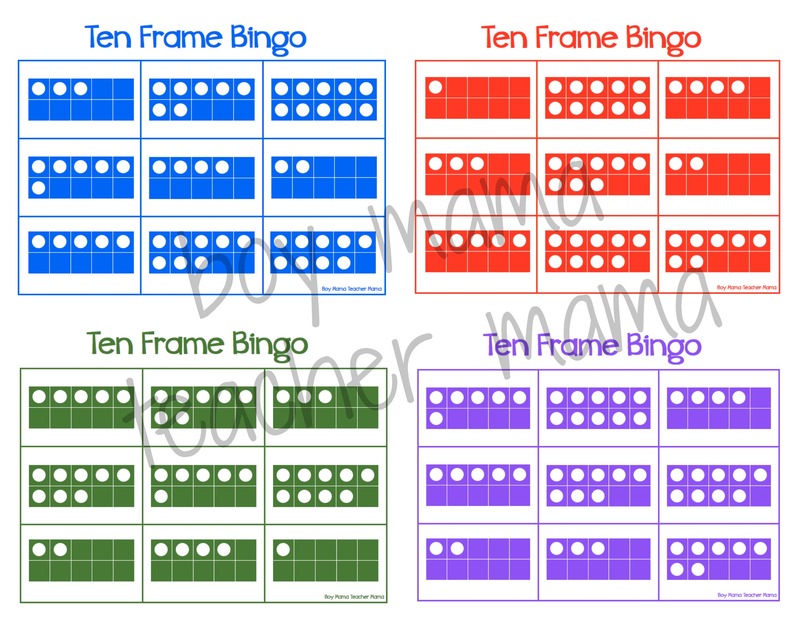 They then glued the 9 frames onto their own bingo board in a random order. Once the boards were ready, it was time to play! 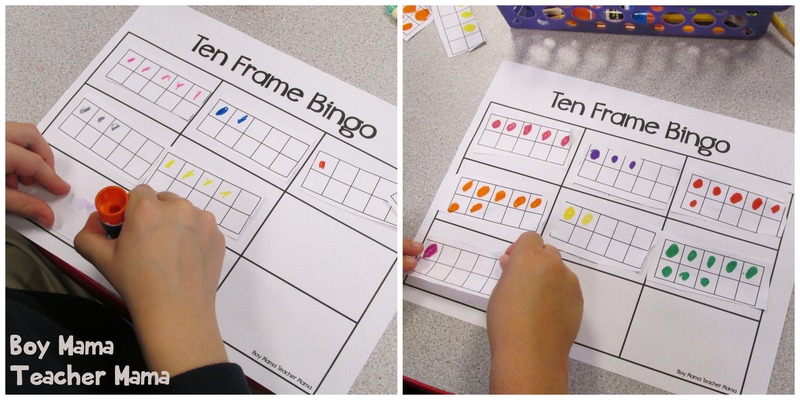 Give each student 9 bingo chips. Shuffle the the number cards and place them in a pile. 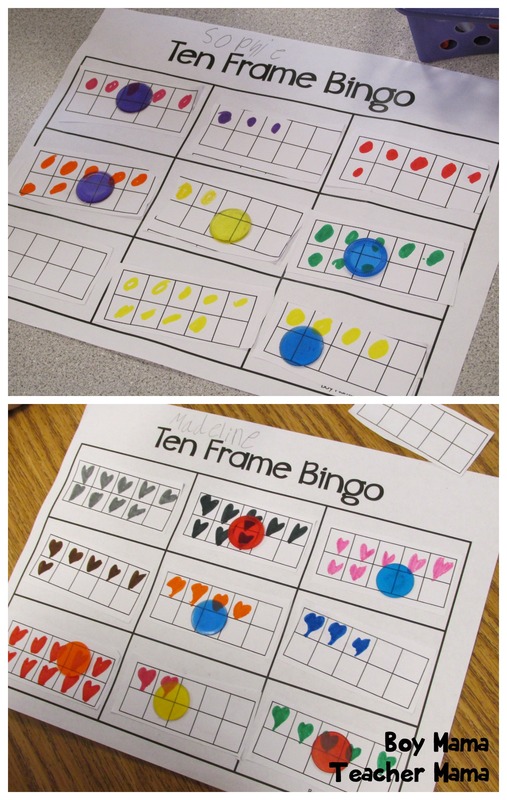 Have the caller call out one number at a time until students call out “BINGO!” or “BLACKOUT!” Students can play over and over using their own bingo card, or swap with a friend to get even more practice.